A Productive Snowday!! - The Resourceful Room! These are my lesson plans!!! I decided to try and do the "visual lesson plans" I've seen a lot of you doing! I LOVE them, I love that I can put links in them to each of the activities that I am using online and they are all in one place! I printed them but I LOVE that they are digital and I can just open the file and change it up if needed! (I didn't make them large enough to read with links and all that here because they are personalized with student names right now. My plan is to be able to start sharing them here on Sundays each week (that's the plan anyway we will see how disciplined I am at making that happen)!! Penguin gift tags = fraction game - I wrote improper fraction and mixed numbers on the back, students will choose one and then write either the improper fraction for the mixed number or the mixed number for the improper fraction they drew! the other is a penguin nonsense word sort that I made for my paraprofessional to use with Kindergarteners. I got it from Berry Creative. Click on either name to check them out! This is a sequencing activity from The First Grade Sweet Life, (also a freebie). It included five sets of cards that gave instruction for how to do something. I put each set in a pencil case. I plan on passing them out to groups of three students. They will open the box and read the cards, then put them in to correct order. I'm only giving them 5 minutes then they have to pass the box to the next group. Each group will get to order each situation once! I think they will have a lot of fun with this!! It's Valentine themed so head on over and check it out, lots of other great stuff at Mrs. Thiessen's blog you can see too!! Another nonsense word sort, this one I made using tongue depressor sticks and these super cute labels I got from our free teacher store!! I wrote real and nonsense words on the labels attached them to the sticks and that's all - a center is ready!! The students will use the cups below to sort them as they read the words. These snow man sticky notes were a great easy way to make another game. I wrote fractions on them and the students will have to sort them into sets of equivalent fractions. I just keep trying to come up with better ways to teach fractions than worksheets and it really isn't that easy!! I think they will like this one! These penguins (another notepad that I got from Walmart after Christmas for 20 cents) still need to be cut out. I laminated them and I'm still working on the cutting!! They have long division problems on them, again trying to make review a little more engaging than worksheets. Students will draw a penguin, solve the problem on their white board and then I will check it. For each one they answer correctly (if they are incorrect they keep trying until they are correct and I help them) they win points, at the end of the week they can redeem the points for treats (small suckers, gum, and starbursts.....shhhhh no candy allowed :) ). So now that I am feeling better about where I am as far as planning, (I think I almost caught up with paperwork) I'm looking forward to finishing up my February Fluency and Math games packs I've been working on! Hopefully I'll be back to share those with you soon! Thanks for reading, happy Tuesday! How fun snow days! I miss those. I love your lesson plans. Where did you get the format for them. This is the first year I've typed up my plans and I do love it! I also love your creative activities for fractions. I love the apple going down the side of your weekly plan. 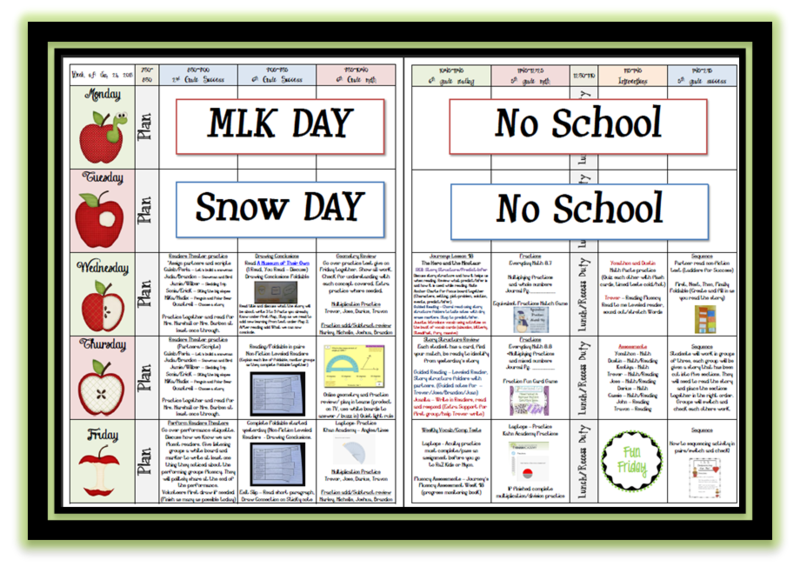 We have to have more detailed daily plans but I like the idea of one like yours to show my main week and activities. Teaching in America seems awesome, would love to know more. Lucky! We only had a 2-hour delay for the cold. The temp was -15 in my part of Indiana. 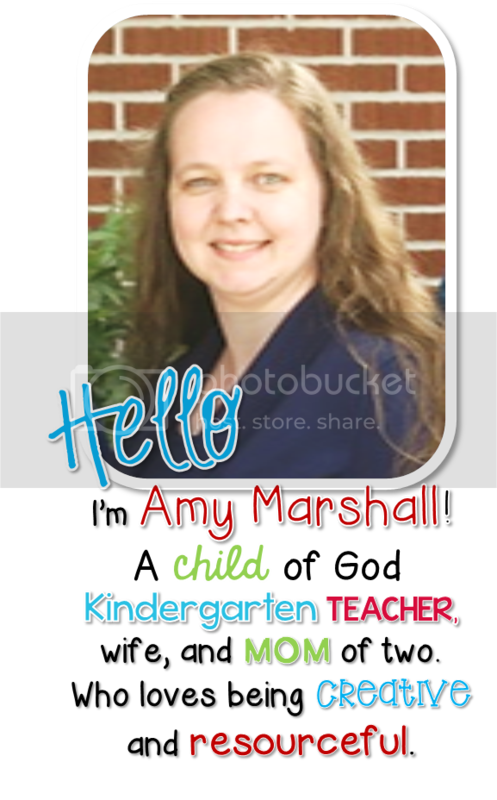 I love your lesson plans!! Did you make the template on your own or did you purchase one? I love my Erin Condren planner but this seems so much easier! LOVE the visual lesson plans! Would you consider doing a tutorial? Love, love, love the lesson plans! Please consider a tutorial.